In a day where lots of companies stake a claim to being the best in the IT business, it can be a herculean task finding a company that is fit for your purpose. Perhaps, you have your own internal IT infrastructure and you'll only require support services or you need a company that can serve solely as your IT resource. Whichever side of the aisle you find yourself, you can't do without an efficient and result-oriented IT setup. Every IT technician knows that. Every business leader knows that, and more often than not the performance and revenue of your enterprise will be a mirror image of your IT infrastructure and architecture. So don't leave anything to chance. Find the best IT support service and let them help you. Here are three things to consider in your search. 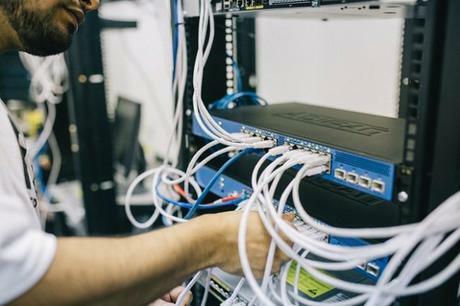 Before you step out to look for a good IT support service company, you should conduct an exhaustive examination of your IT infrastructure and know what you need based on your company's IT strategy. Would you need help in your IT strategy, planning, budgeting, staffing etc? Just as no two companies are the same, IT support service companies are also not the same. Each has their expertise and areas of strength. For instance, while some are doyens in cloud services, data security etc. others may be specialists in network management or cybersecurity. You should find out what their areas of strength are. Is it retail, finance, banking, telecommunications or education? No company can run away from their track record; It details their accomplishments and deficiencies as well as giving you a clear idea of what to expect. That is why it's important to be patient and thorough in your search. Go through the testimonials and reviews of the company you are considering and examine their accomplishments over the years. If the need arises, you can interact with other companies who have previously engaged the company you are considering and ask pertinent questions with regards to their work ethic and the kind of results they churn out. Sure, exuberance and energy is great but experience can never be discounted - especially in the intricate world of IT. Considering how far-reaching even littles mistakes in things like database management and data security are, you should not allow companies who have little experience to learn on your machines and on your dime. Additionally, it is crucial to assess the performance of the company you are considering in the country or terrain you operate in. For instance, a company like EIRE Systems has been providing IT support services for organizations in Hong Kong since 2004. Such a company is sure to know the terrain and how to provide excellent services in Hong Kong. Any company that provides IT services to you will likely have access to very sensitive data and insights about your company. It is suicidal to pick a company that will treat your data carelessly or maliciously. That is why you should be thorough in your search for a company to work with. Also, the contracts you sign with the company you settle on should be clear and spell out specific terms. It's one thing to search for an IT company to provide support services for you. It's another thing to know what to look for when conducting such a search. Without a clear understanding of your company's needs and IT strategy, you might end up hiring the wrong company. The track record, level of transparency as well as their experience in the terrain you are operating in should be key factors in settling on a company to serve your IT needs.